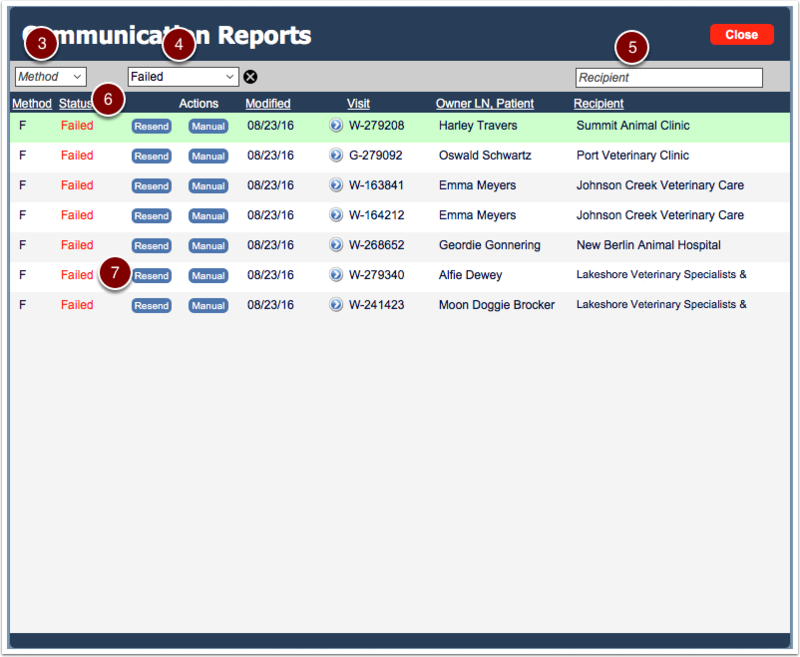 Ensuring all reports are sent successfully to the RDVM or client the communication log must be maintained on a daily basis by an assigned staff member. The reason for this is based on the cases where a fax may be busy, an incorrect number, incorrect email address or too many reports being sent simultaneously. 2. 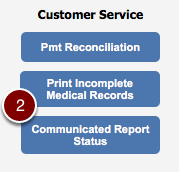 Within the Report screen select the "Communicated Report Status" button located under the Customer Service column. 3. In the Communication Reports there are many ways to search for your communicated report. There is the ability to sort three by methods, (E)mail, (F)ax or (P)rint in the first column. 5. Lastly the ability to search by Recipient. 6. 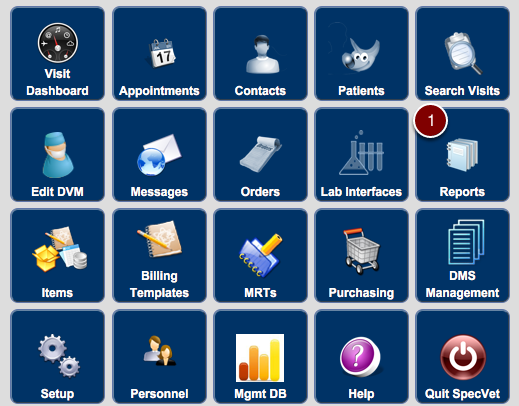 By selecting the options at the top of each column it gives the ability to sort by each column. 7. If there are communication reports that are listed as "Failed" or "Sent To Server" it means the system has attempted to send those reports three times and have not done so successfully and those reports will need to be resent manually by selecting the BLUE "Resend" button under Actions.